Did you buy anything during the Sephora VIB sale? *Edited: I just received an email from Sephora to advise me that I’m only $44 away from renewing my VIB status for 2015. Ha! I wish we had a Sephora. My wallet would hate me, but everything looks so tempting! I admire your “no buy” challenge so much! I remember a time when Sephora wasn’t in Canada either. According to google, Sephora opened in Canada in 2004 but I don’t recall shopping there until maybe 5 years ago. 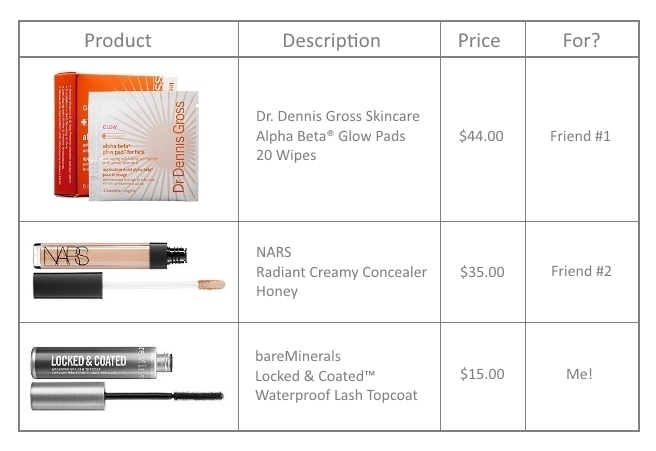 Sephora is actually not my favourite beauty store – I still really like our main drug store, Shoppers Drug Mart (like Boots) because they sell higher end cosmetics brands but they have a loyalty program that you can redeem for free products! I find it a little easier this time of year to not purchase makeup but I think the Fall VIB sale will be more difficult because I LOVE Fall palettes and Holiday sets! I hope Sephora comes to the UK eventually! I know, right? Let everyone else spend their money and I just rack up the points. One of my friends wanted to collect the points on her BI card but the lure of getting 15% off rather than the measley 10% convinced her to use my card, muahaha. It’s definitely on the top of my wish list! I will be purchasing in 2016 when my No-Buy is over. I really hope I love it as much as everyone does! Oh, it was tough to resist but it was also fun helping my friend shop for their stuff. I helped my friend choose the Bite lipstick shade (I really wanted that same shade too! 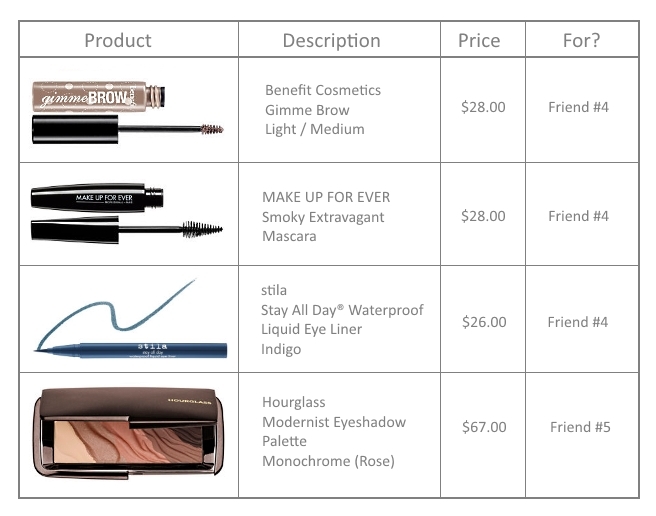 It’s on my wish list now) as well as helping the other friend choose a non-black liquid liner. I imagine it would be fun being a personal shopper! Good picks! I’m curious to try the Bite Beauty lipsticks. Everyone seems to really like them. I have a couple of Bite Beauty lipsticks and they’re top notch! Comfortable on the lips, rich pigment, long wearing, food grade ingredients – I highly recommend. I plan to buy more in the future. Very nice of you to share the VIB discount! It must have felt nice buying makeup again even if it wasn’t for you. I’m also custard for the Nars radiant creamy concealer! Have you tried the Nars concealer yet? I neeeeed it in my life. I can’t believe I didn’t crack during this VIB sale. Is Nars > Maybelline Fit Me? Price vs performance? In all honesty, I’m not too fond of the Maybelline Fit Me (not enough coverage and doesn’t last long on me). My favourite under eye concealer remains Maybelline Age Rewind Eraser! I want to try that concealer! I should add it to my wishlist. If you don’t like Maybelline fit me you may not like NARS just bc they are nearly dupes of each other. I say get the NARS one so you can try it and use it for a long time to form an opinion since you already know the maybelline fit me. I think that the maybelline fit me is way better for price and is slightly more pigmented and smooth. NARS is still good quality just more expensive and prettier packaging. Huge price difference. I don’t even know where the nearest Sephora is to me. Thinking about it, that’s probably a good thing because Ulta gives me enough problems when it comes to taking my money! More than likely my first Sephora shopping experience will be with my best friend in June when I visit her in San Diego. I think I would prefer Ulta over Sephora because it’s a good blend of drugstore and high end cosmetics. I visited Ulta once in Chicago and I really liked it. Enjoy your first Sephora experience in June – maybe you can do a blog post about it! I do love Ulta. Sephora has some things Ulta doesn’t (like Nars) so I’m really excited for my trip! I plan on blogging a lot about my trip! It’s a ten day vacation and I’m sure lots will happen!! I love the Clarins Double Fix! Is the Bare Minerals comparable? I don’t know yet, never tried the bareMinerals one. I’ll do a review! Cool, can’t wait! I just picked up a NYX type version and I’m hoping it works just as well. Yes I hope so too, the bareMinerals is $15 CAD vs $24 for Clarins. NYX makes a mascara top coat too? You have to do a review. I definitely will, I’m probably going to start testing tomorrow! Yah I was pretty stoked because it’s only 6.99! But hopefully it performs just as well.